The various ways in which 5G mobile networks will support advanced IoT deployments, the key features in 5G that will benefit the IoT and the impact of 5G across major IoT industry verticals. 5G represents a fundamental shift in communication network architectures. It promises to accelerate future revenue generation through innovative services facilitated via 5G-enabled devices, including smartphones, tablets, laptops and Internet-of-Things (IoT). 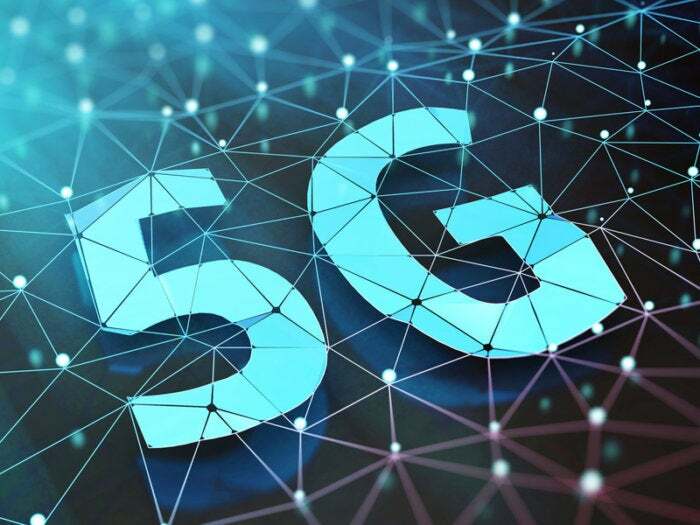 5G deployments are envisioned as a complex amalgamation of next-generation technological enhancements to telecommunication networks, which will help 5G become the catalyst for next-generation IoT services. Examples of such innovations include: 1) advanced modulation schemes for wireless access, 2) network slicing capabilities, 3) automated network application lifecycle management, 4) software-defined networking and network function virtualization, and 5) support for cloud-optimized distributed network applications. In fact, for IoT services to be deployed at scale efficiently, 5G’s critical benefits are essential. These include improved network speeds and capacity, reduced communication latency and flexible service delivery models. The mere mention of ‘5G’ can conjure an image of ultra-high-speed wireless broadband services delivered to fixed and mobile devices, officially termed enhanced Mobile Broadband or eMBB. However, what gets me most excited is the long-term vision of 5G, which includes massive Machine Type Communications (mMTC) and Ultra-Reliable and Low Latency Communications (URLLC). Together, these enhancements can help transform industries with ultra- available, low latency links. Below are the various ways 5G will play a role in supporting next-generation IoT services in some key industry verticals. One of the primary use cases of 5G will be connected cars coupled with augmented reality (AR) and virtual reality (VR). Enhanced vehicular communication services will include both direct communication (between vehicles, vehicle to pedestrian, and vehicle to infrastructure) and network-facilitated communication for autonomous driving. Use cases supported will focus on vehicle convenience and safety, including intent sharing, path planning, coordinated driving, and real-time local updates. 5G will not only offer a more reliable network but would also deliver an extremely secure network for industrial IoT by integrating security into the core network architecture. Industrial facilities will be among the major users of private 5G networks. The requirement for real-time networks will be achieved using 5G which will significantly transform the healthcare industry. Use cases include live transmission of high-definition surgery videos that can be remotely monitored. Communication service providers will look to replace their fiber network using wireless broadband. This will significantly drop the costs incurred in laying fiber optic cables for home broadband usage. Augmented Reality and Virtual Reality – AR/VR will revolutionize customer experience in gaming, retail shopping, and other customer-centric applications. Consumer experience will be enhanced as high data rates, and extremely low latency are achieved. The Trump administration’s decision to block Broadcom’s $117 billion bid for Qualcomm, citing national security risks, illustrated that the U.S. government realizes the importance of establishing and maintaining 5G leadership. The risk of weakening Qualcomm’s technological leadership in 5G standards development and standardization was one factor, and the possibility of disrupting the trusted supply relationship between the U.S. Government and Qualcomm was another factor. It showed that the “America first” definitely applies to 5G. The U.S. Federal Communications Commission (FCC) continues to enact growth-oriented regulations to support 5G services. It is focused on reducing the regulatory barriers to deployments of new facilities for wireless broadband. For example, the evaluation of the impact of proposed deployments on the environment and historic properties has been streamlined for small cell deployments. The FCC has made relevant spectrum available for operators to deploy high-speed broadband wireless networks (for example, the 600 MHz spectrum) and continues to work to release additional unlicensed, mid-band and mmWave spectrum available for 5G. A combination of low, mid and high bands will be used for 5G services. Mobile operators are likely to use a smaller set of the spectrum to deploy 5G services before gradually expanding these to other spectrum bands. Re-farming 4G spectrum for 5G services, and sharing 5G services with 4G service could pose technical challenges. Implementing 5G will require significant changes in the areas of network virtualization, cloud radio access network and massive MIMO. To prepare for 5G, mobile operators must start implementing these technologies in advance of actual 5G implementations. Implementing technologies and services in a continuous, on-demand manner and ensuring that a 5G-like experience can be delivered through technologies that are compatible with 4G is a critical industry need. During the 5G development and trial phase, it is essential to achieve interoperability between 5G network and user element (UE) equipment and verify the critical technologies needed for commercial deployments of 5G technologies at scale. Establishing business models that can address the diverse range of 5G use cases, including low cost and high-performance implementations, is an industry challenge. Building an application ecosystem, preparing the network infrastructure and establishing strategic partnerships are essential to helping develop sustainable business models for 5G services. We are keeping a close eye on the 3rd Generation Partnership Project (3GPP) as participants continue to work on developing the 5G standard and has already made significant progress. The recently introduced 3GPP Release 15 is focused on enabling the enhanced Mobile Broadband (eMBB) use-case and establishes the foundation for future 5G innovations. Meanwhile, the timeline for 5G is crystalizing with pre-commercial trials with major carriers completed, standards expected in 2018 and initial rollouts beginning in 2019. Despite this apparent evidence of progress, it is important to understand that 5G will not replace 4G overnight. Carriers will use a combination of wide area network (WAN) and short-range wireless technologies to deliver 5G services. LTE evolution will continue, and LTE and 5G will co-exist for several years. As is the case with any new network technology, availability of device hardware and attractive service pricing will influence adoption. Despite the fact that this is a fundamental shift in communication network architectures, 5G will co-exist with legacy architectures well into the next decade. Vikrant Gandhi is the Digital Transformation Industry Director at Frost & Sullivan. He assesses emerging next-generation trends, technologies and market dynamics to help companies successfully go to market and grow.